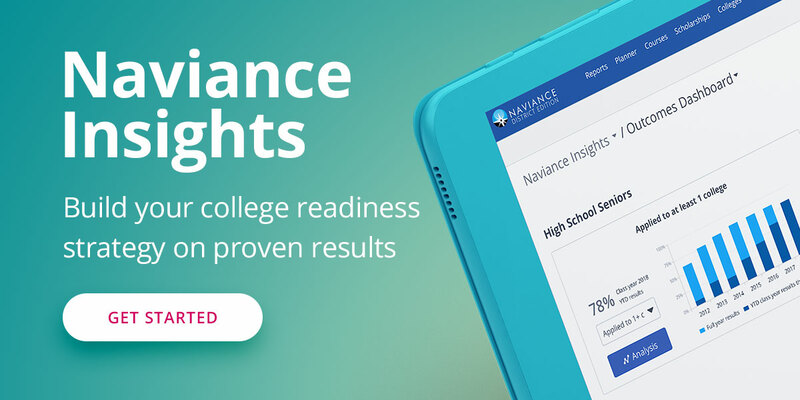 NASHVILLE, TENN. - FEBRUARY 16, 2018 - Hobsons, the education technology leader and company behind Naviance, and AASA, The School Superintendents Association, today announced the Redefining Ready! National Scholarship 2018. The scholarship competition, launched at the AASA National Conference on Education, allows students to tell the world why they are college, career, and life ready through a 30-second social media video. Fifteen students will win scholarships ranging in value from $1,000 to $10,000. The scholarship is part of a national initiative to develop new indicators of college and career readiness that go beyond standardized test scores. Launched in 2015 at the AASA’s national conference, Redefining Ready! introduced new research-based metrics to more appropriately assess whether students are prepared for success in college, career, and life. The campaign—led by school superintendents—has put forth new metrics to define a student’s ability to succeed beyond high school. Those metrics include participation in Advanced Placement courses, completion of Algebra II, early college credits, industry credentials, attendance, and community service. The Redefining Ready! National Scholarship Contest is open to high school seniors. To apply, students must upload a 30-second video to Twitter and complete an official application. One national winner will be named along with seven regional winners and seven regional runners-up. The contest, which opens today, runs through April 2; winners will be announced in late spring. Application details and deadlines are available by visiting the AASA website. For more information about the 2018 National Conference on Education, access AASA’s Conference Daily Online.